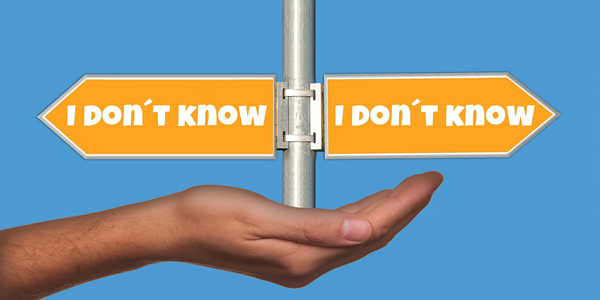 Whilst it is crucial to understand what people choose and why, we also want to understand why people come to a decision at a particular time, or after a certain amount of deliberation. When we are trying to understand these questions behavioural scientists tend to run experiments that ask individuals to choose between a number of options in very different domains. This could be a choice between chocolate bar A and Chocolate bar B, or between investment option A and investment option B. These are invaluable in revealing patterns of choice. In addition to showing us which options are more likely to be preferred, we can see how long people take to make different decisions. For example, when the options are very similar people tend to take a long time to choose between them, and the same is true when they dislike all of the available options. These relatively simple findings tell us crucial things about the way in which people choose. In many models of choice from psychology and neuroscience, it is assumed that decision makers “accumulate” evidence in favour of either option. For instance, if a decision maker really likes chocolate bar A, then they will accumulate evidence in favour of it very quickly. If the decision maker is indifferent to chocolate bar B then they will accumulate evidence very slowly in favour of it. In this case, chocolate A will very quickly have a great deal more evidence accumulated for it. This difference in accumulated evidence will soon become large enough that the decision maker chooses A. However, if the decision maker likes both options roughly the same then both options will accumulate evidence at roughly the same rate. This means that it will take much longer before the difference in accumulated evidence between the two options is large enough for the decision maker to be sure of which they would prefer. This results in the longer deliberation times that we see when people choose between similar options. This pattern of accumulating evidence also results in longer deliberation times when all options are mediocre, compared to when all options are highly valued. When all options are mediocre, evidence is accumulated much more slowly overall, so it takes longer for enough evidence to be accumulated such that one is far enough ahead of the others. One of the key aims of NIBS is linking this research to more realistic decisions that people may make on a day to day basis. Take our two examples above. Choosing between two chocolate bars is very similar to the real world task of choosing what to eat as a snack, or for lunch. However, individuals also have a third option: choose neither and delay their lunch/snack decision until later in the day. Equally, choosing between investment options is analogous to an individual selecting a savings account or investment fund. However, they could also elect to continue with the status quo in the short term and return to the decision later. In almost all behavioural science studies, individuals are forced to select one of the options and are not given the option of choosing later or “deferring choice”. We believe this is often quite unrealistic. In a recent NIBS project, a model was developed whereby just one assumption was modified within the established psychological models of evidence accumulation. This was that when a decision maker has the option to delay choice, they will do so if they have been deliberating for a certain period of time, but no option yet has enough of an advantage in accumulated evidence over its competitors. In this case the decision maker will abandon the current choice process and defer until later. Put more simply, if it takes someone too long to deliberate and decide, they will give up and avoid the choice in the short term. A large empirical study asked individuals to make choices between movies. In some of the choices they were forced to make a decision before they continued, in others they could defer the choice until later. This showed that in all the cases where evidence accumulation was predicted to be slower – and thus result in longer deliberation times – decision makers were more likely to defer their choice. Thus, adding this simple assumption to an existing model that has been extensively applied in Psychology and Neuroscience, dramatically expands its usefulness in explaining and predicting real world choices. Bhatia, S., & Mullett, T. L. (2016). The dynamics of deferred decision. Cognitive Psychology, 86, 112–151.